Ferrari's field-leading 2018 car continues to raise suspicions. La Gazzetta dello Sport reports that, without naming a team specifically, the FIA has now banned teams from topping up oil during qualifying. It follows rumours the 2018 Ferrari engine, which smokes excessively when started up, may have taken a big step forward thanks to clever trickery in the area of oil consumption. 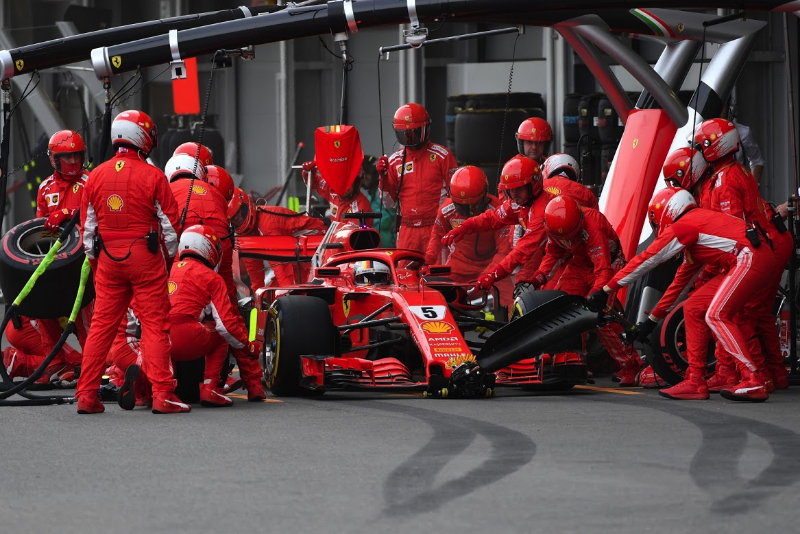 "The FIA examined the Ferrari in China and looked at drawings of the entire oil system," Germany's Auto Motor und Sport reports. It was found to be legal. But that's not all. First, Auto Motor und Sport says Red Bull is alleging that the shape of Ferrari's 2018 rear view mirrors does not comply with the regulations. And after Baku, it emerged that Mercedes has doubts about the clever design of Ferrari's 2018 battery cells, which may produce more than the allowed 4 megajoules. "The topic could occupy formula one in the coming weeks," said correspondent Michael Schmidt. Finally, there are claims Ferrari is using the turbocharger to produce gas that then blows the rear wing. "One possibility is that former Ferrari engine boss Lorenzo Sassi, who has been working for Mercedes since April, has been talking," Schmidt added.